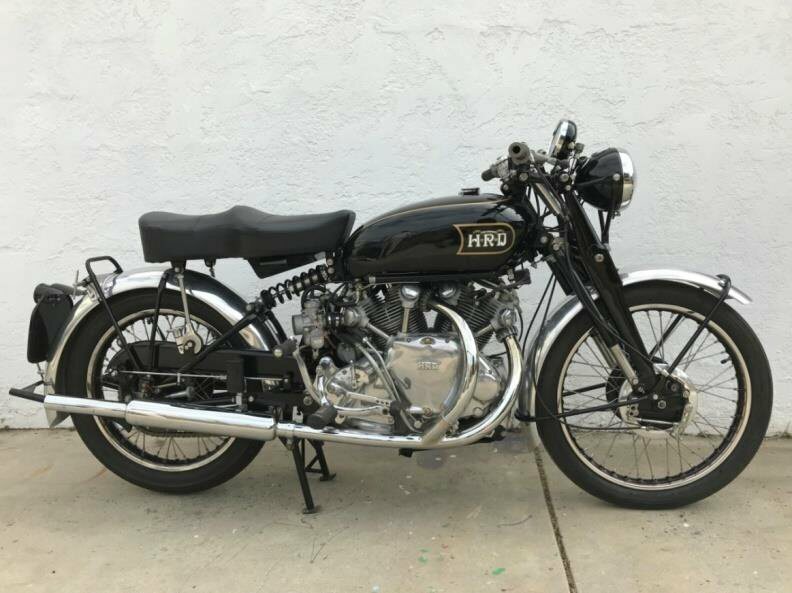 FOR SALE - 1952 Vincent Rapide . Totally rebuilt 3 years ago. New barrels, 9-1 pistons, Shadow carbs rebuilt by Lund. Cylinder heads rebuilt by Bewley. New tires, rims and brakes. Shadow brake drums. 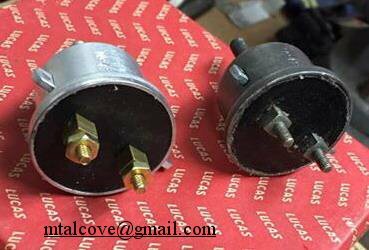 Alton 12v alternator, dual points, condensers and coils. Replica Lucas Hooter horn. Replica Shadow speedometer. Suzuki clutch by C. Trevor. Hills Center Stand. Seat is mounted to pillion plates for softer ride. Seat stays included with sale of bike. VOC machine dating certificate included. Full report with pictures included. Maintenance manuals, spare parts, parts invoices. Mods include BTH magnito, lightning style clutch. Speedo is in k/hr. Original amal style carbs, can throw in some monoblocks. Non matching numbers. Has oversize saddle, standard one is available. good running condition. former South American bike, currently USA. 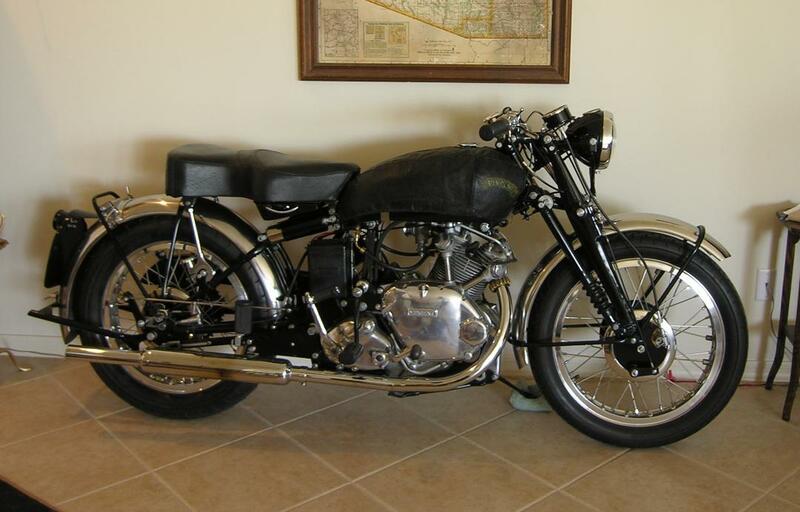 SOLD 1951 Vincent Comet. UK MOT from new, motor and RFM match, UFM does not, clear title. Motor has been fully rebuilt, NOS standard bore cylinder, piston and rings, rebuilt crank, new valves, guides, lifters, retainers and misc hardware. Alloy rims, stainless spokes, stock carburetor and electrics, plus a few assorted spares and many books. Restored and rebuilt about 15 years ago, then placed in storage. Currently on lift getting full service to run. Shadow 5" speedometer and high flanged aluminum rims. Very reliable bike. 50,000 Euros firm. 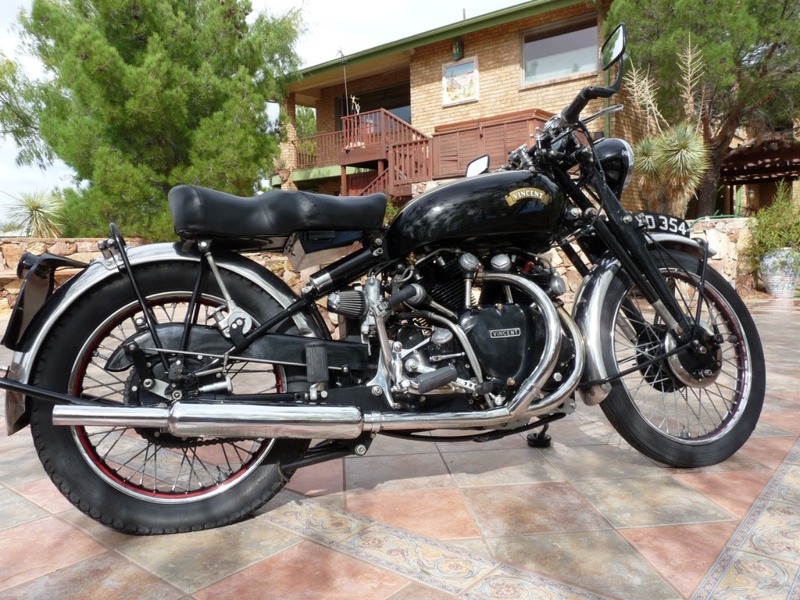 For Sale: 1950 Vincent Black Shadow. Imported to the States from England in 2003. Alton 12v alternator conversion, rebuilt speedometer, several spare parts. For Sale: Terry Prince's Prince's personal Rapide. Engine cases, number and upper frame member match. RFM is replacement. Front brake hubs have four-leadingshoe internals. Modern shocks front and rear. Tread-Down centerstand. 5in. Shadow sspeedo. Engine is Shadow spec plus. 85% of the bike is from new parts, hand rolled aluminum fenders, new wheels, SS rims and spokes. Engine has been fully overhauled by Prince with modern carbs, MK2 cams, 7.5cr pistons, Pazon ignition, 12 v electrics, V3 clutch, etc..
Over $5000 in upgrades. Rapide currently located in Southern California, can be shipped anywhere. 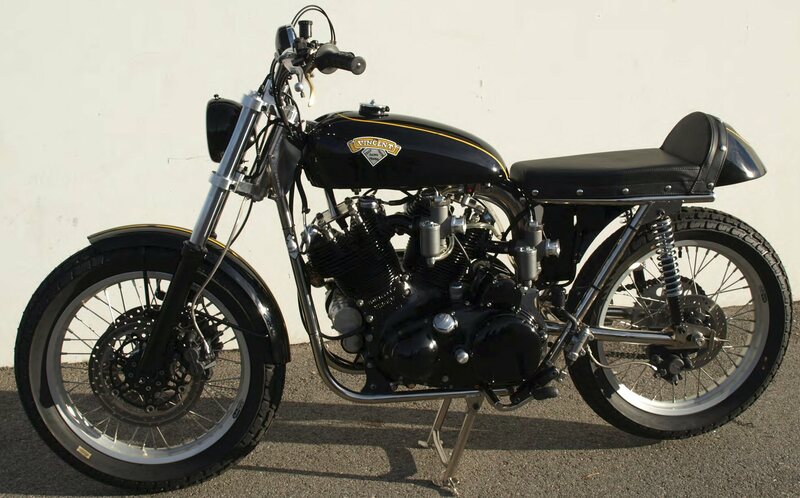 all black power coat except the frame-oil tank and brake drums. I have owned this bike since 1988. Not a trailer princess, but a good bike to ride and enjoy. $68,000 US $. For Sale: Reproduction No. 42 round rear Miller brake light switches as used on the first 430 postwar 1946/7 Vincents. Cadmium plated to original specifications. The price is $400 for each plus shipping.. When they are gone there will be no more, so do not dither around! Contact Mitch Talcove. Phone: USA 760-801-7007; E-mail: mtalcove at gmail.com. Vincent Parts: Haig Altounian has two Comet chainguards along with .005" and .010" oversize exhaust pipe nuts (ET84) from Maughan’s available, two of each. He also has a tap and adjustable die so that custom fitting can be made. He also has a good, used Vincent flywheel assembly (complete with rods since it is an assembly) for sale. Inquire for details if you are interested. Haig is still working on Vincents at the garage in Culver City, California. He is available by appointment only at USA 310-477-8821 or cell phone 818-979-3106 for repair, restoration, and parts service. For Sale: Show winning Lightningized Twin in one-off Trackmaster frame (as seen in MPH No. 734). It includes electric starter and disc brakes.